EURUSD on the monthly timeframe trading in a larger balance between 1.0482 and 1.145 (rough estimate) since the start of 2015. 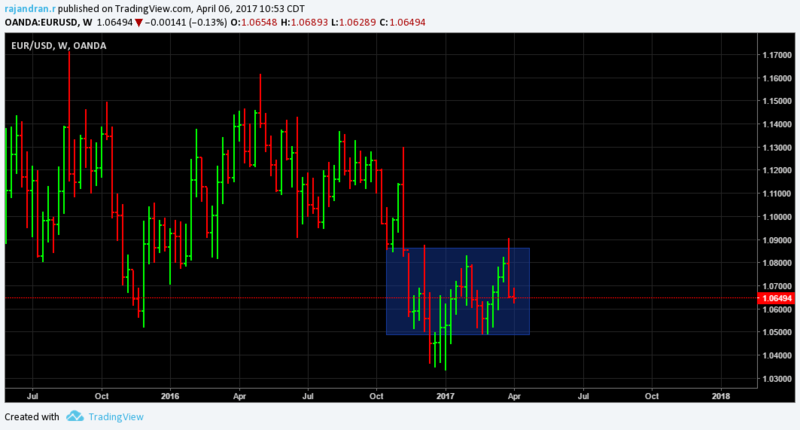 Its been more than 2 years and EURUSD is trading is the tighter range on the larger timeframe. 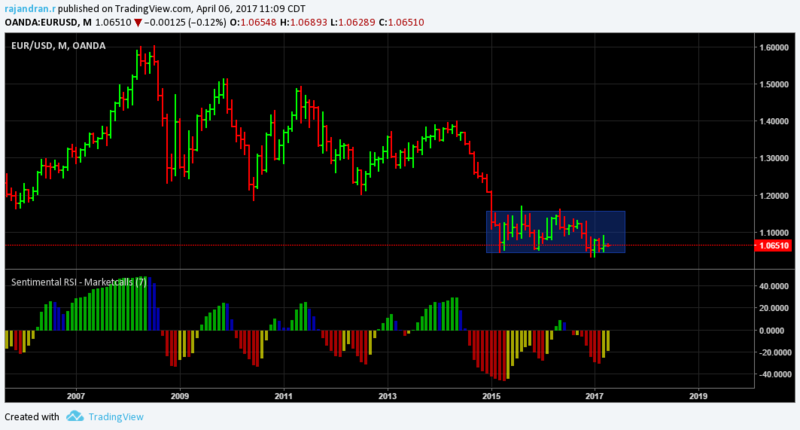 On the lower side 1.048 offers a longterm support which is also the bottom of the balance. Highly compressed trading activity is seen in the last 4-5 trading months. Similar setup is seen on the daily timeframe as well. This brings great opportunity for the momentum breakout traders who can take advantage of this compressed activity and can buy on breaks. Monthly Sentimental indicator is holding positive which increases the probability of the possible long term uptrend formation. Weekly timeframe as well trading in a range since the start of Nov 2016. And interestingly quoting around prev week low reference 1.0651. Holding this level on weekly basis is quite critical for the uptrend to continue. 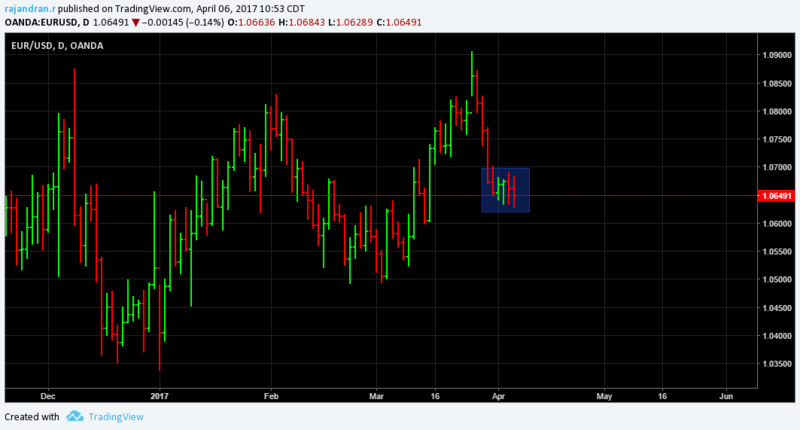 In the last 5 trading days EURUSD is trading in a very tighly packed with a short term balance formation. Acceleration above or below the breakout zones gives more solid confirmation on the evolution of the trend.